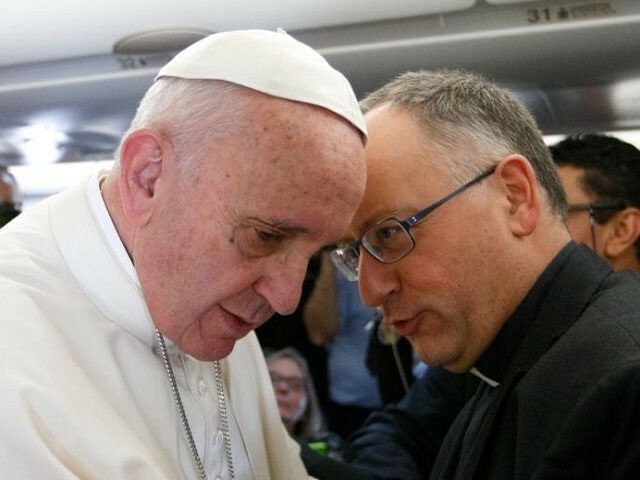 Spadaro, a friend and counselor of Pope Francis, was assisted in drafting the essay by an Argentinian Presbyterian minister, Marcelo Figueroa, an old friend of the Pope’s who was hand-picked by the pontiff as editor-in-chief of the Argentinean edition of the Vatican newspaper L’Osservatore Romano. But is this really so? The story that has dominated religious liberty discussions in the U.S. since 2011 has been that of the Little Sisters of the Poor, a group of Catholic nuns that was harassed by the Obama administration under the HHS mandate of the Affordable Care Act and made it all the way to the Supreme Court. Do Spadaro and Figueroa really believe that the good sisters were fighting for “some influence in the political and parliamentary sphere” rather than simply asking to live according to their religious beliefs? The sweeping generalizations of Spadaro and Figueroa and their evident lack of familiarity with the complex religious landscape in the United States prompts concern about the quality of advice that Pope Francis is receiving from close advisers. In point of fact, the United States is one of the most religiously diverse and pluralistic countries in the world, far more than any European nation, a fact of which the authors seem woefully ignorant. Christians make up over 70 percent of the population, and while the largest single group is the Roman Catholic Church, there are literally hundreds of other Christian denominations as well as the vast world of non-denominational Christianity. Moreover, while Spadaro and Figueroa describe the influence of religion in American public life as a recent phenomenon, nothing could be further from the truth. They write that the American tendency to view the world in terms of good and evil and to mingle “politics, morals and religion” dates back to the beginning of the 20th century, with the publication of Lyman Stewart’s 12-volume work, The Fundamentals. While this work did give the name to Christian fundamentalism in America, it was not nearly as influential as the authors seem to think. It was the Frenchman Alexis de Tocqueville, perhaps the greatest commentator on religion in America of all time, who in the first half of the 19th century marveled at the unique role that religion played in the young United States—so different from that in his native Europe. Despite the age of the work, it aptly describes the historical place of religion in American society and its vibrant and permanent interaction with politics and public morality. Americans’ willingness to bring their faith to bear on their moral decision-making should not be confused with the straw men imagined by Spadaro and Figueroa who long for a confessional, theocratic state. It is precisely the healthy secularism in the United States and the refusal of the founders to establish a state religion that has allowed faith to play such an important role in public life. En route to Washington DC in 2008, Pope Benedict XVI told journalists that he was “fascinated” by the fact that the American Founders had intentionally created a secular state, not out of hostility toward religion, but out of respect for it and because they understood that religion can be lived authentically only under conditions of freedom. To take issue with this singularly religious self-understanding, as Spadaro and Figueroa do, is to take issue with the United States itself. While the two men are of course free to do this, they should be aware that such blatant anti-Americanism will win them few friends and besmirches whatever other good work they may choose to do. While they obviously sought to harness their partisan critique to attack President Donald Trump and his chief strategist Steve Bannon, they have ended up attacking America itself. One can only wonder what the authors were thinking on penning these expressions, since Pope Francis himself has weighed in repeatedly on each of these very issues, insisting that the right to life and the nature of man-woman marriage are not merely religious issues, but should be enshrined in law. “So great is the value of a human life, and so inalienable the right to life of an innocent child growing in the mother’s womb, that no alleged right to one’s own body can justify a decision to terminate that life,” he said last year in a teaching letter on marriage and the family, called Amoris Laetitia. In a bizarre irony, the authors rail against confusing the political and religious realms in the midst of their undeniably political—and indeed deeply partisan—screed. How they could get away with publishing something so puerile, bigoted and tendentious in what was once considered a very serious academic journal is a mystery. If by so doing the authors think they are acting like bridge-builders, to use one of the Pope’s favorite images, they are sorely mistaken. They have erected a wall of prejudice and partisan narrow-mindedness that is all but impossible to scale.